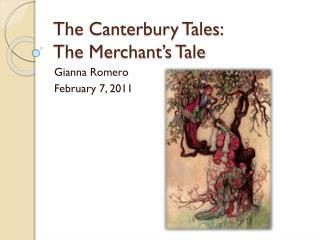 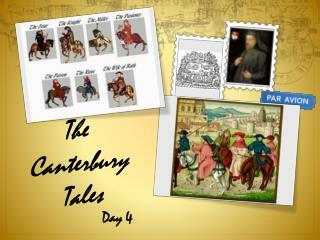 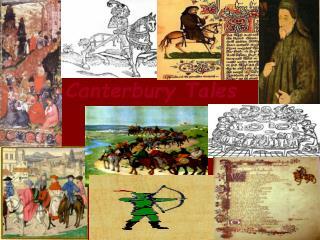 The Canterbury Tales. 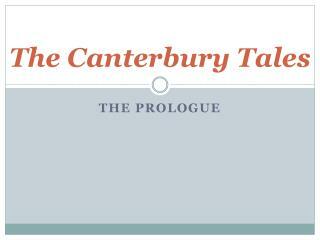 The Struggle is Real!! 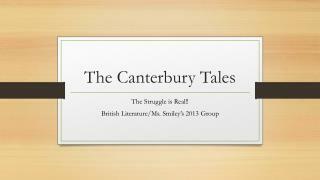 British Literature/Ms. 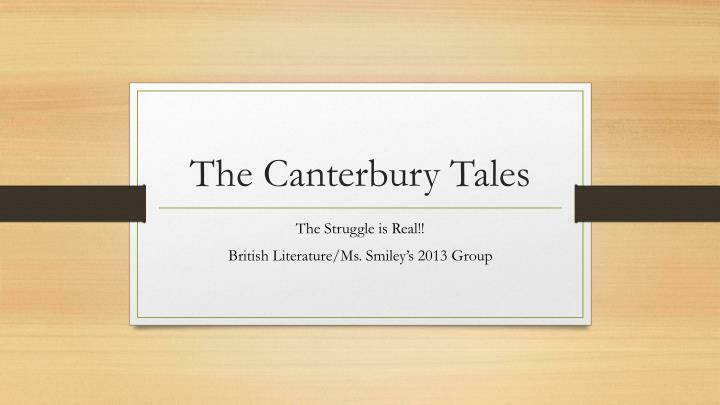 Smiley’s 2013 Group. 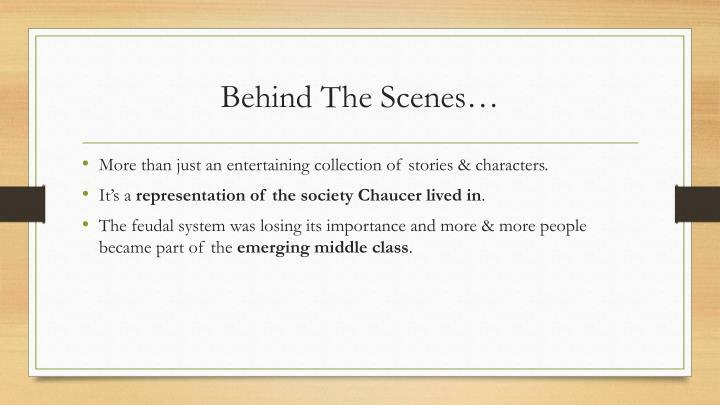 Behind The Scenes…. 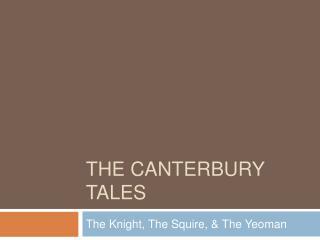 More than just an entertaining collection of stories & characters. 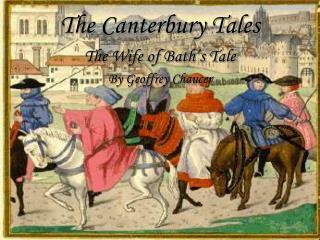 It’s a representation of the society Chaucer lived in . 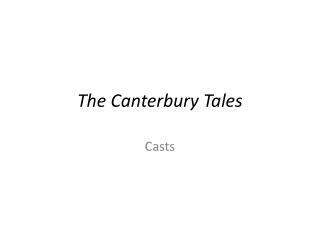 More than just an entertaining collection of stories & characters. 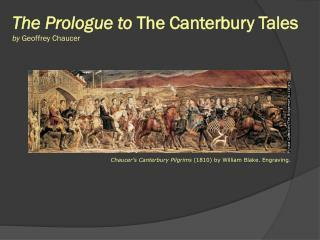 It’s a representation of the society Chaucer lived in. 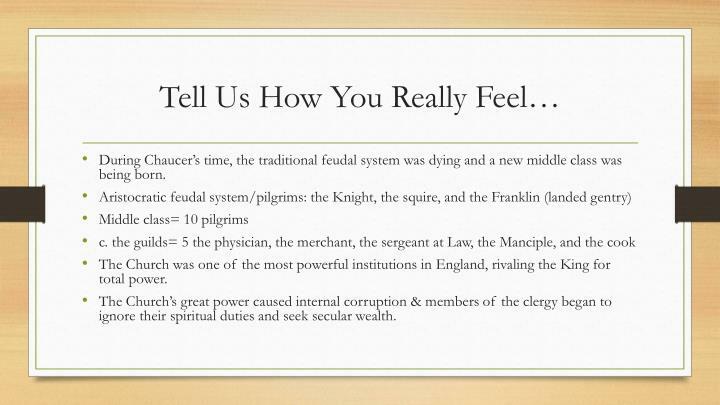 The feudal system was losing its importance and more & more people became part of the emerging middle class. 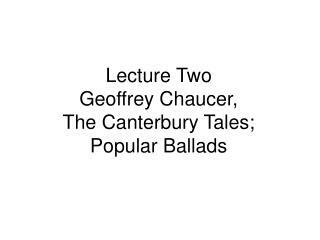 The church was another important part of Chaucer’s England; however, in Chaucer’s day the Church was often corrupt & strayed from its spiritual mission to obtainsecular wealth. 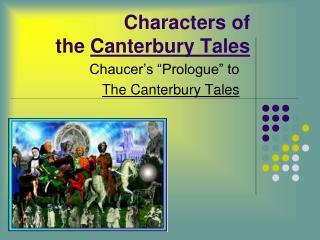 Chaucer shows that the main drive of almost all of the characters is to obtain wealth and status. 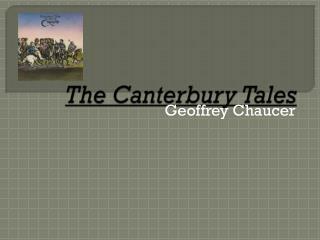 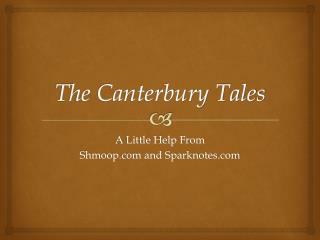 Canterbury Tales is an illustration of the growth of the middle class and decline of the feudal system, corruption and power of the Church, and the fundamental drive for wealth and power. 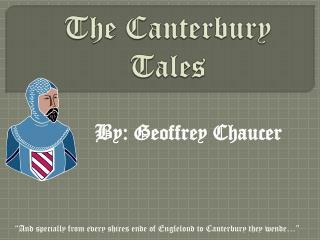 During Chaucer’s time, the traditional feudal system was dying and a new middle class was being born. 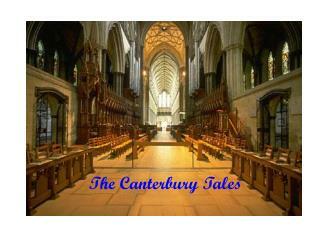 The Church was one of the most powerful institutions in England, rivaling the King for total power. 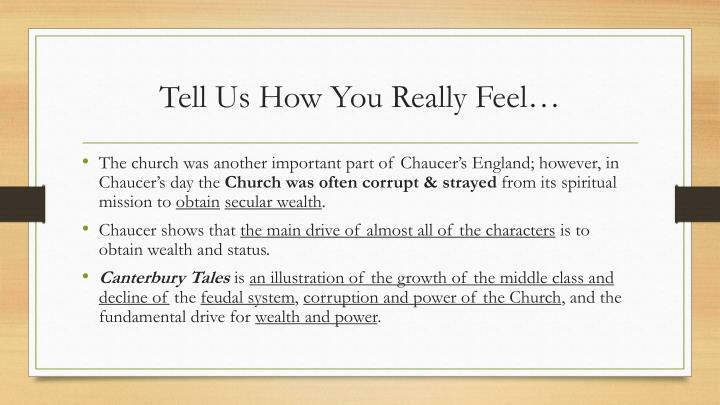 The Church’s great power caused internal corruption & members of the clergy began to ignore their spiritual duties and seek secular wealth. 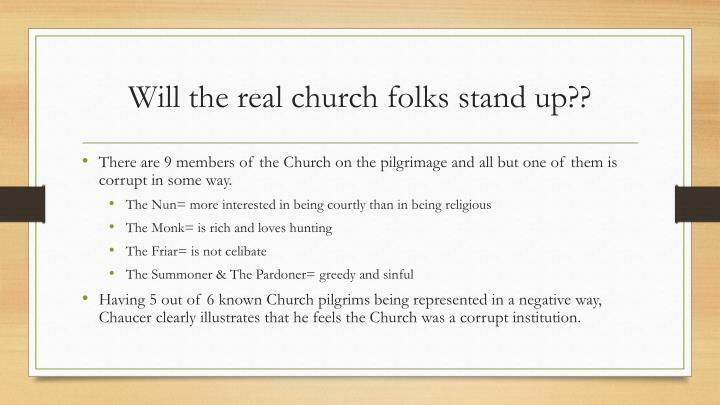 Will the real church folks stand up?? 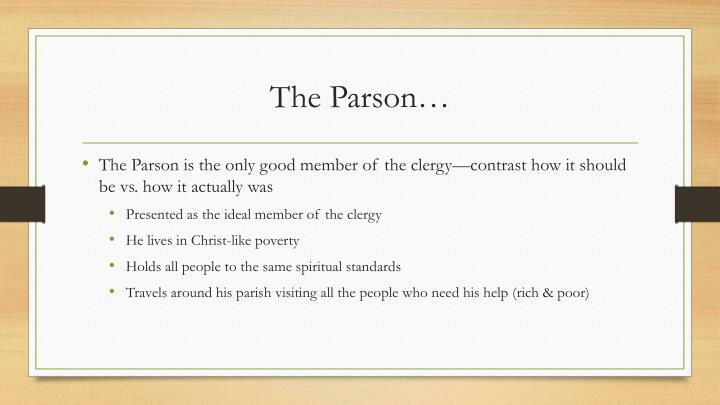 There are 9 members of the Church on the pilgrimage and all but one of them is corrupt in some way. 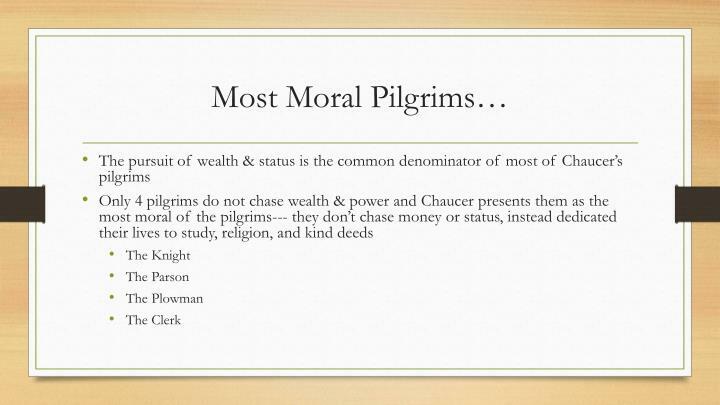 Having 5 out of 6 known Church pilgrims being represented in a negative way, Chaucer clearly illustrates that he feels the Church was a corrupt institution. 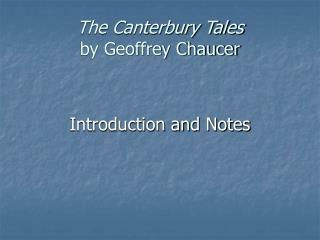 Chaucer illustrates his opinion that the drive for wealth & status is one of the fundamental problems of his 14th century England. 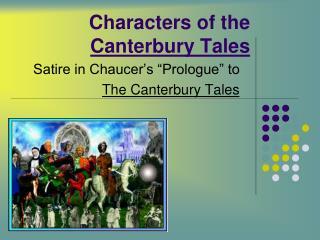 *** portrayal of the rise of the middle class, the corruption of the church, and his society’s primary motivation; wealth and status. 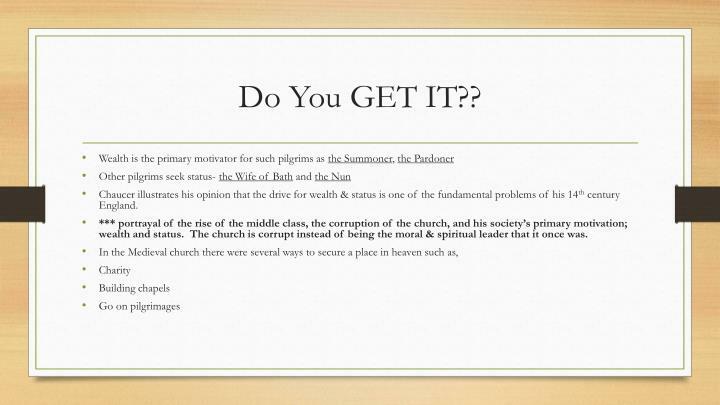 The church is corrupt instead of being the moral & spiritual leader that it once was. 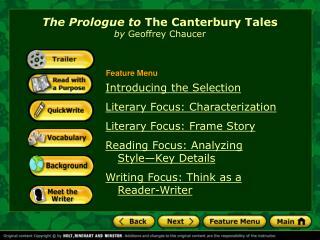 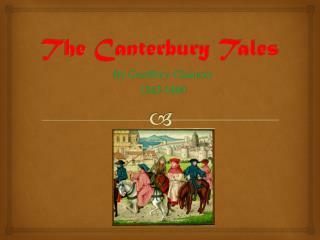 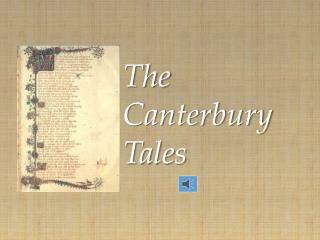 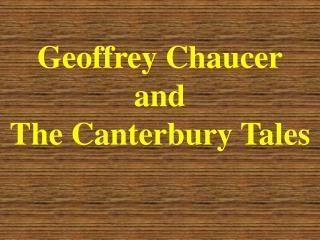 The Prologue to The Canterbury Tales by Geoffrey Chaucer -. 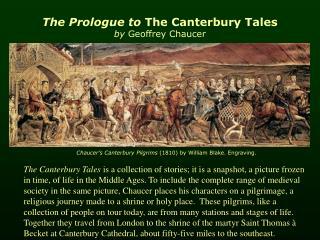 chaucer’s canterbury pilgrims (1810) by william blake.